Erzherzog Ludwig Salvator was one of the few public characters whose scientific ambitions are still recognized after more than hundred years. Today, his work is more relevant than ever before in view of the significance of the Mediterranean region as cultural heritage in a rapidly changing world. His work is based on the relationship between humankind and nature. Recent years showed that environmental protection and the sustainable use of resources are core components for a long-term existence of humanity and conflicts are often based on the loss of ecosystem services. A solution of such problems requires interlinked thinking and a combination of technical, ecological and socioeconomic disciplines, which eventually allows for entirely new and promising approaches to be developed. However, this requires courage and creative minds, such as Ludwig Salvator. He emphasized on the cultural heritage and collected fables in Mallorca and studied galgolithic inscriptions. At the same time, he documented flora and fauna in detail with drawings and extensive records, assessed geological structures, as well as agricultural systems and even how local markets and trade was organized. His structured approach becomes obvious with the development of the famous “Tabulae Ludovicianae”, an extensive demographic-geographic questionnaire. He collected responses of local decision makers and experts and systematically combined the gathered information with his own records in a meaningful way. 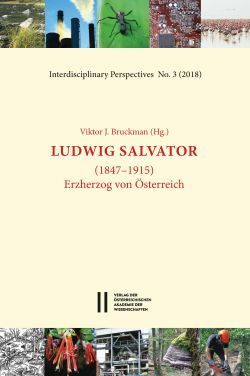 This collection of contributions of a symposium represents evidence for the holistic approaches and innovative pioneering work of Ludwig Salvator and attempts to provide an overview of his activities and manifold legacies.